Britain said on Saturday it was investigating reports that a man believed to be a British national suspected of carrying out beheadings in videos released by Islamic State had been wounded in a U.S.-led air strike last week. 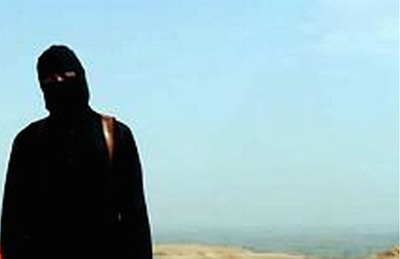 The man, dubbed “Jihadi John” by the British media, was believed to have been injured in an air attack on a summit of IS leaders in an Iraqi town close to the Syrian border last Saturday, Britain’s Mail on Sunday newspaper reported. The group’s leader, Abu Bakr al-Baghdadi, was also said to have been wounded in the attack, the paper added. A speech purporting to be by Baghdadi was released on Thursday following contradictory accounts out of Iraq that he had been wounded last Friday in U.S. air strikes. U.S. officials said on Tuesday they could not confirm whether Baghdadi was hit in a strike near Falluja in Iraq. According to the Mail on Sunday, which said its source was an unnamed nurse, “Jihadi John”, Baghdadi and other wounded IS figures were taken to hospital and then driven to the Syrian city of Raqqa. The paper said it was not clear how serious their injuries were. In videos released by Islamic State, the masked, black-clad militant brandishing a knife and speaking with an English accent appears to have carried out the beheadings of two Americans and two Britons.